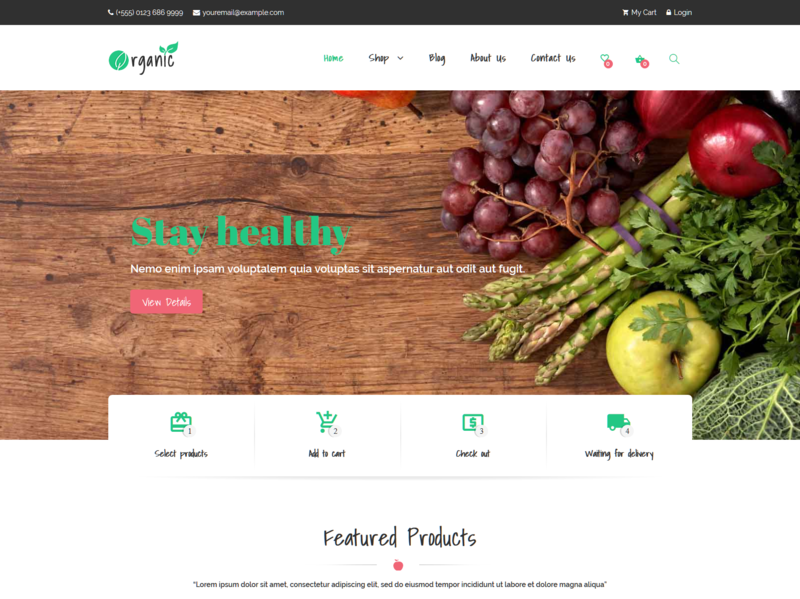 Organic Theme is a clean yet appetizing Elementor WooCommerce theme best suited for presenting organic food store on the web. The theme is fully editable, Its flexible layouts can be adjusted to meet your brand image perfectly. It comes with easy-to-use Live Customizer, allowing you to set up your webpage in live mode. Also, you don't need to learn coding to manage your site and add different elements - this function is performed by drag and drop Elementor page builder. This page editor assists in creating your own page layout by using multiple customizable modules. You get even wider opportunities with WooVina Elementor Widgets, which adds various custom blocks to your website's page layout, containing additional modules, not included in the standard Elementor page builder elements bundle.Fully mobile friendly and responsive. Not just in theory, actually tested, tweaked, and perfected on iOS and Android with a custom mobile layout built just for them. Organic Theme brings you mobile layouts that allow you to create a professional website specifically for mobile devices. Making your website mobile-friendly is a worthwhile effort, and can push you ahead of your competitors.Let get it - Organic Food Elementor WooCommerce Theme - become your online store!